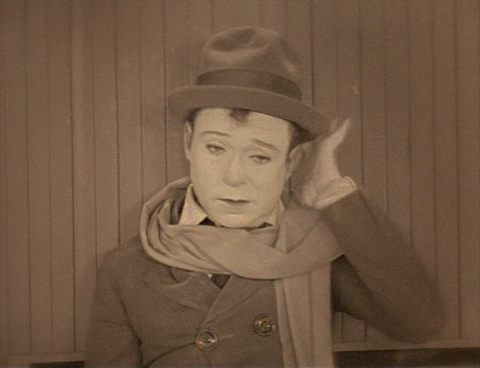 After the end of World War I, a Belgian soldier (Harry Langdon) captured by a German enemy (Arthur Thalasso) is brought to America to perform as a sidekick in Thalasso’s strong man circus act. Once there, he seeks out a beautiful woman (Priscilla Bonner) who was once his penpal, not realizing she’s kept away from him because she’s blind. 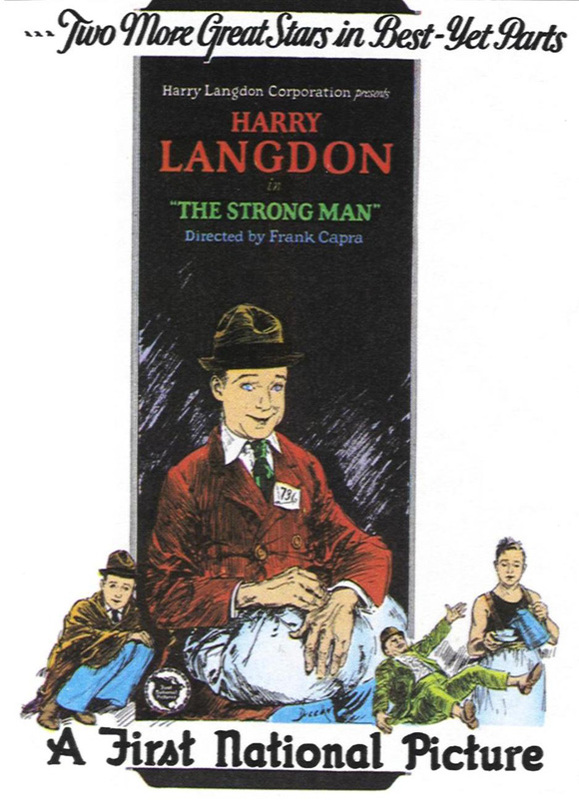 The Strong Man (also notable as Frank Capra’s feature-length directorial debut) is cited by many as Langdon’s best film, and it is indeed an enjoyable affair. The most amusing sequence occurs just after Langdon’s character has arrived in America, as he’s looking for his long-lost penpal (“Mary Brown”) and meets up with a con-artist (Gertrude Astor) who has slipped a wad of money into his pants to elude the police. Astor tells the naive Langdon she’s “Little Mary”, and the two head off (in wonderfully forthright pre-Code manner) to her apartment. Their perfectly timed slapstick interactions together — as Astor does whatever it takes to try to slip the cash out of Langdon’s pants, and Langdon misinterprets her actions as lustful pursuit — are simply classic. 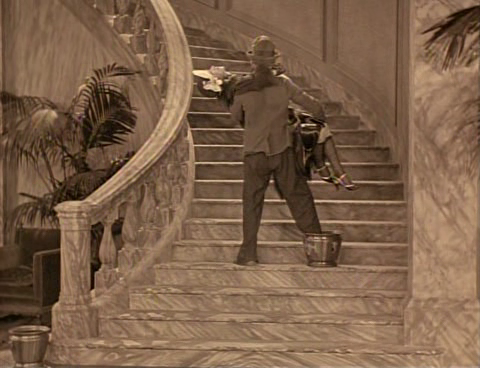 The remainder of the storyline is a tad schmaltzy (Capra’s “touch” is already evident), as Langdon romances the impossibly sweet Brown, and learns that Brown’s preacher-father (William V. Mong) is leading a gang of righteous townsfolk in a crusade against the evil bootleggers who have taken over their performing hall. But throughout this narrative, Langdon is given plenty of opportunities to show off his slapstick genius; fans won’t be disappointed in the slightest, and those just discovering his work will be glad for this fine introduction. Yes, for its historical relevance as Langdon’s best film. Listed as a film with Historical Importance and a Personal Recommendation in the back of Peary’s book.